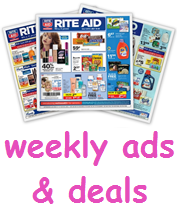 rite aid customers now earn bonus cash instead of plenti points on certain promoted products. 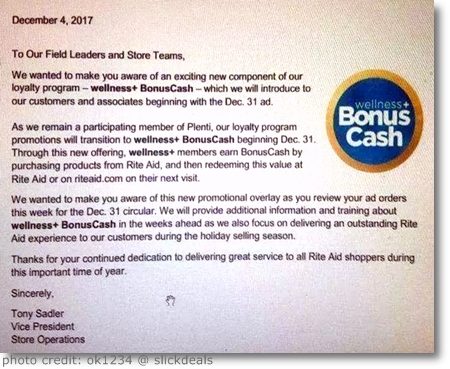 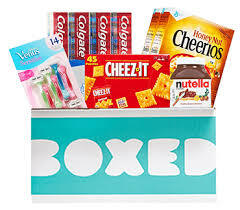 bonus cash may be redeemed at rite aid stores or riteaid.com starting 6 am the day after it is earned. 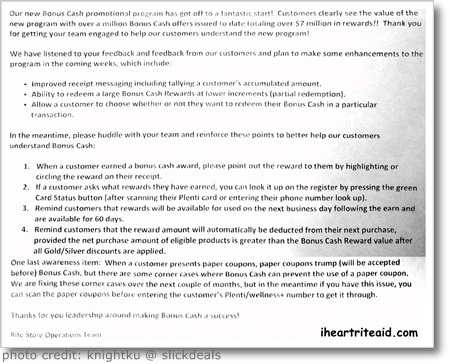 customers will be prompted on the pin pad to choose whether to use Bonus Cash or save it for later. 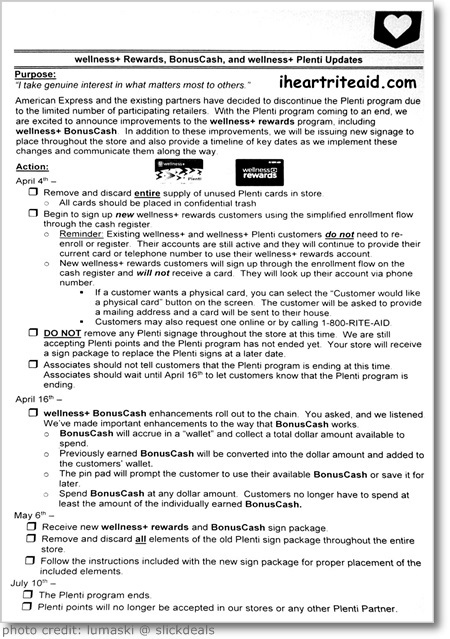 Bonus Cash cannot be used for tobacco products, alcohol, lottery tickets, licenses, prepaid cards, gift cards, money orders, money transfers, stamps, other mail services, items distributed by RediClinic™; prescriptions (including co-pays) filled in Massachusetts, Mississippi, New York, New Jersey, or Washington, and items prohibited by law. 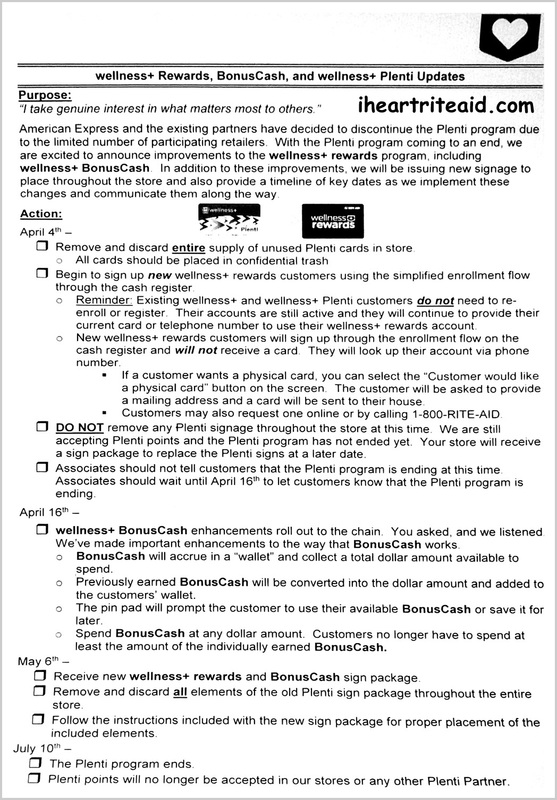 plenti pts can still be redeemed, until 07/10/18. 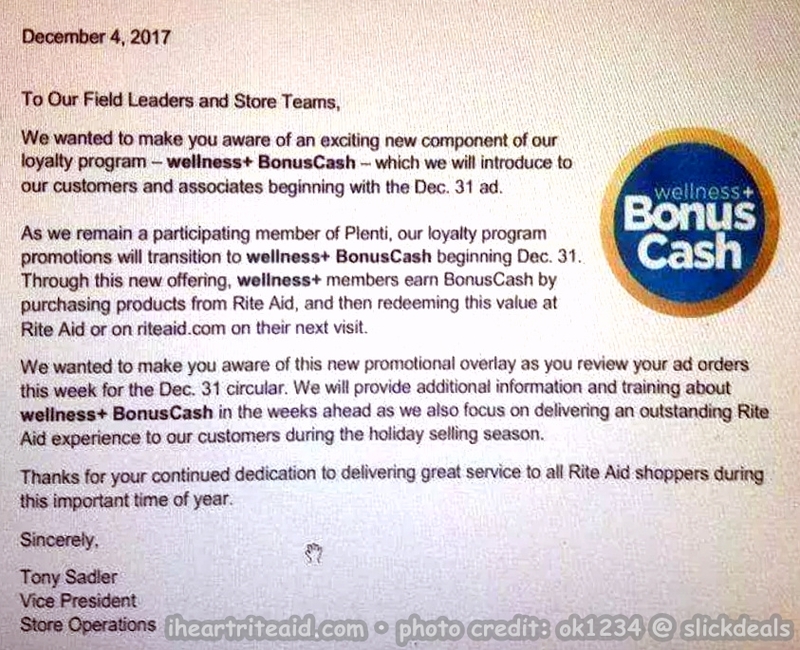 although we no longer earn plenti pts at rite aid, any points you already have (or earn elsewhere) may still be redeemed at rite aid. 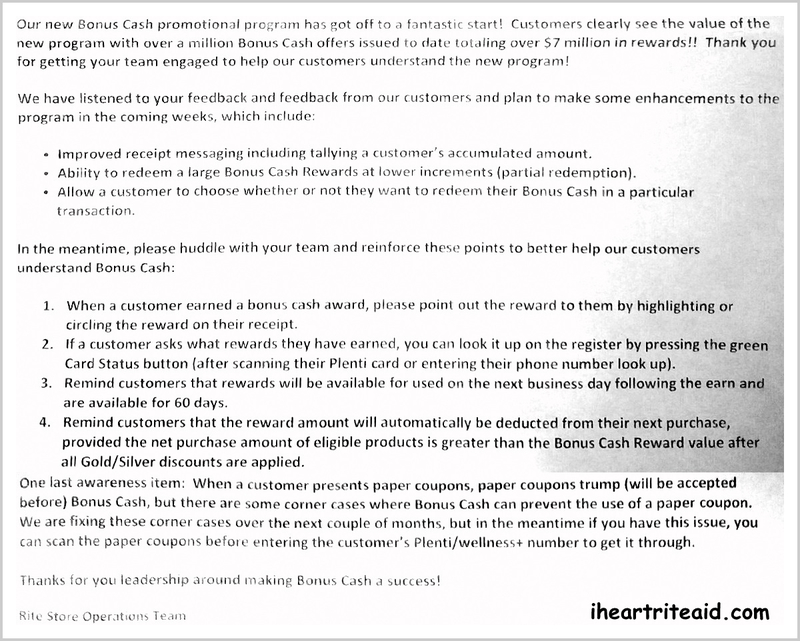 on 07/10/18 the plenti program will end altogether and any unredeemed points will be lost.